Give your graduate something unique! 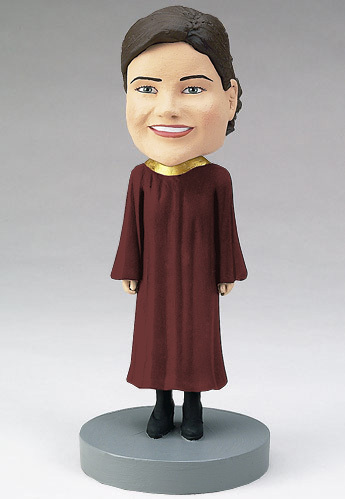 This custom bobblehead can be engraved with the name of the alma mater (college or high school) and their graduation year, and you can customize the cap and gown. Feel free to also add stoles and cords that she wore to the ceremony to celebrate her achievements! See also the custom bobblehead for your male graduate.